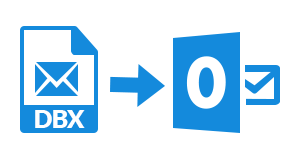 Outlook Express to Outlook converter brings all mailboxes of DBX file like Outbox, Inbox, sent items, drafts, etc., to PST file format. It is possible that users might be having multiple DBX files with them therefore, our software equips batch conversion allowing them to collectively export DBX files to PST. 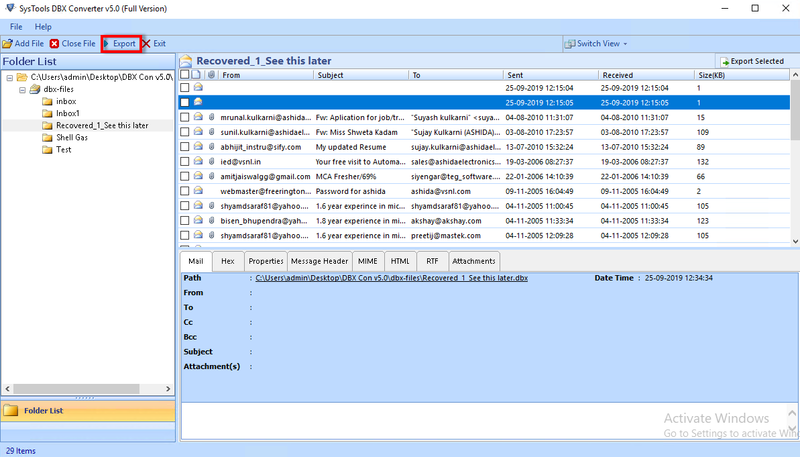 The software shows preview of complete mailboxes, which the source DBX files are having. This will help a person to clear out the content to be converted in PST file format. 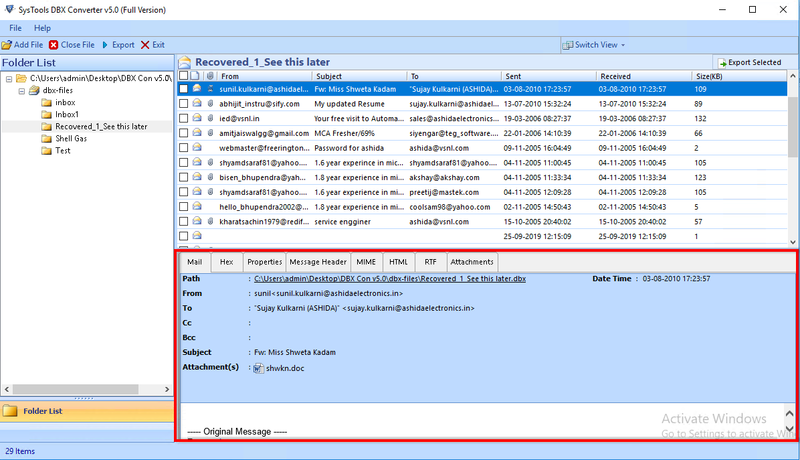 It offers around 8 viewing styles for seeing the properties of each DBX file email. The DBX to PST converter is designed with a set of powerful algorithms, which enable users to export emails from Outlook Express to Outlook with their respective attachments. 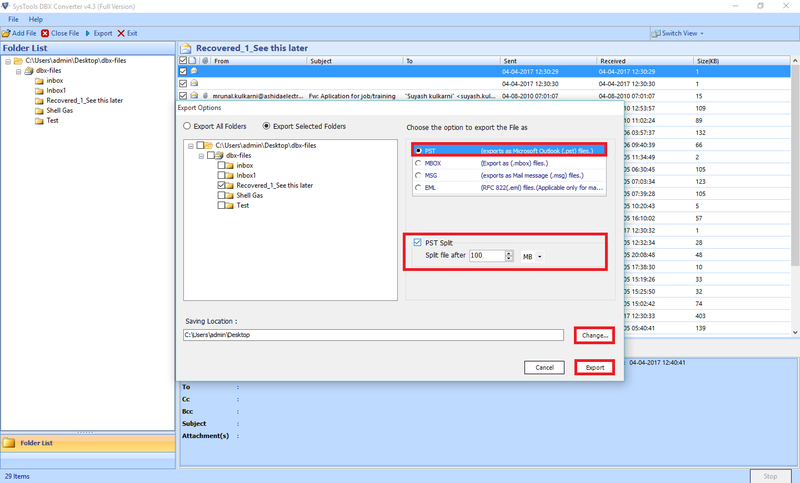 No additional options are needed to be checked / unchecked to perform migration with message attachments. The Outlook Express DBX files to PST exporter processes a rapid conversion because it is inbuilt with lowest footprint of EXE files, which contributes a lot to test the product with its ultra fast speed. It imports DBX file of unlimited size without consuming extra time in the conversion. It is a genuine fact that users might not be knowing the location of .dbx file. To troubleshoot this problem statement, our software is providing an excellent option of automatically loading mailboxes. Just enable the option and then rest operations will be performed by tool, itself. Software supports two mode to convert olk file to pst format. Either select conversion with outlook installation or select conversion without outlook conversion mode. It depends on you which mode you want to select. Is your DBX file to PST converter available for free to download? Yes, our software is available for free to download. You can install the EXE file of our converter on your PC and go for purchase, after getting completely satisfied. Will I be able to download DBX to PST Converter crack version for free? No, officially we do not provide crack version of the software. These editions are not at all safe in this arena where Ransomware is highly news. You are suggested to use full and licensed version of the software for completely working with our utility. Does your software requires Microsoft Outlook installation for its working? No, not at all, the Outlook Express to Outlook migration software is capable of working without presence of Microsoft Outlook installed on your machine. My DBX file is inaccessible due to some reasons. I want to export this file in Outlook. Will I be able to perform the same with your tool? Yes, our software supports inaccessible DBX file, enabling you to export DBX mailboxes into Outlook. 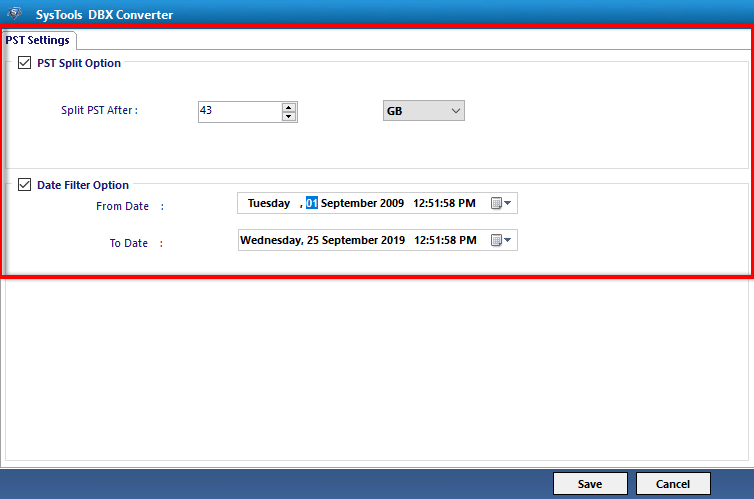 Is DBX converter tool Support different versions of outlook? Yes, The Software support all version like outlook 2016, 2013, 2010, 2007 etc. 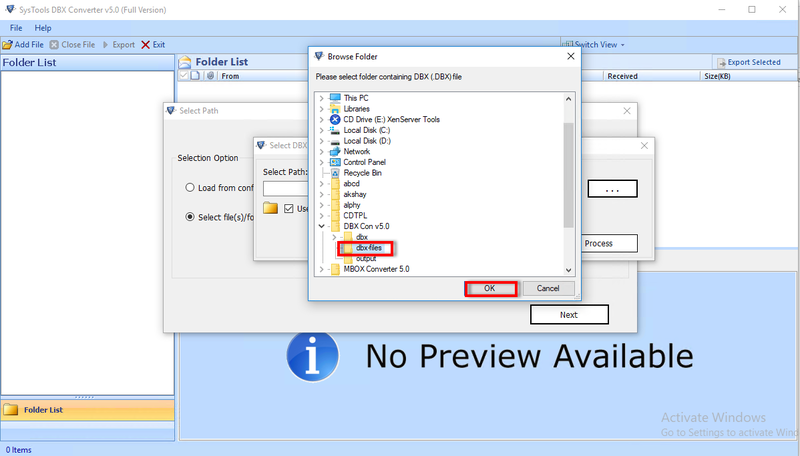 Download setup of DBX to PST File Exporter and then install it on your machine. Click on Add File button to browse .dbx file in the software. 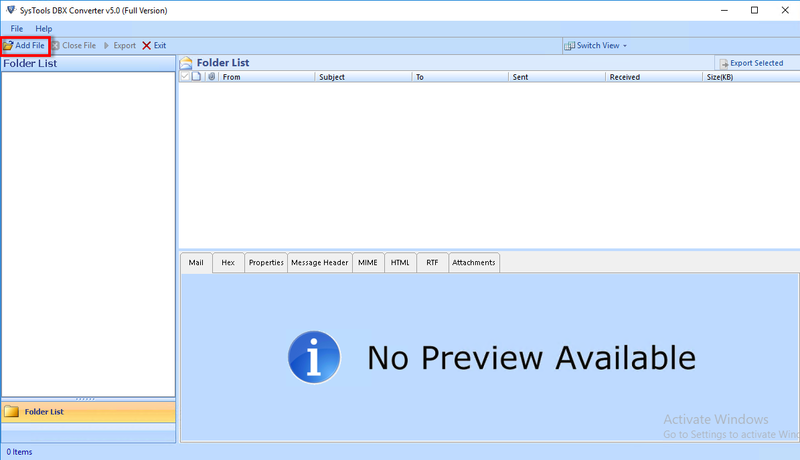 Two options will be provided in our tool to browse Outlook Express database file. Choose any of the rendered option and hit on Next. 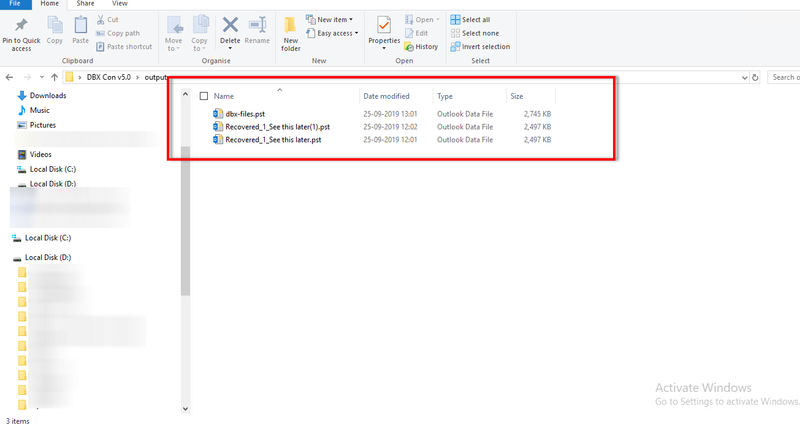 Choose the folder having multiple database file of Outlook Express and click on OK to continue. Enable the settings to be made from your current wizard and hit on Process to continue. The mailboxes of selected .dbx file will be loaded on preview window where you can take a look on data items, which are to be exported. Click on Export button, located on the navigation panel of the tool. 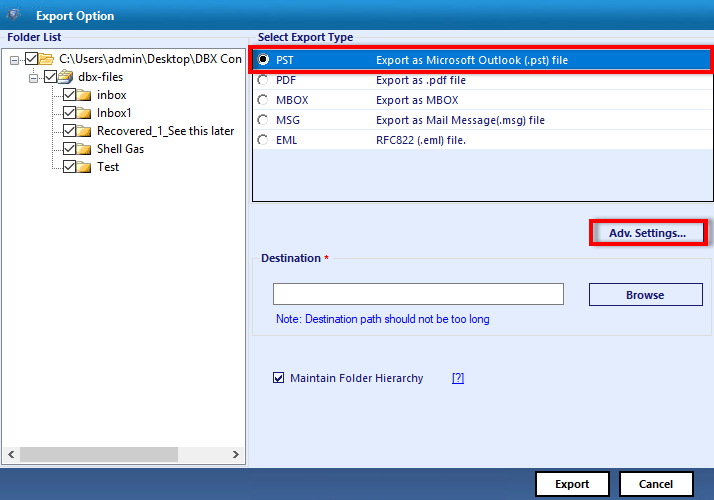 An export options wizard will get open in front of you where you either have to choose Export All Folders or Export Selected Folders. From the list of file formats, choose PST option and if you want to break resultant PST file then, enable PST split option. Click on Change button to locate towards the location where you want to save output data file. At last, click on Export button to initiate the process. With the total item counts and folders name, you will be able to track conversion procedure. "Finding this tool worked out half of my trouble. We were looking exactly for something like this and we found it. Thanks to the developers who understood the need and put it to work in the form of outlook express DBX emails to PST Converter. The application works great and offers extremely satisfactory results." "There have been many tools that I came across during my search for a converter. However, the selection was difficult because there were so many of the same kind, offering the same service - DBX to PST conversion. Thankfully I was able to decide upon this great application and I am glad I did."